Molpass approach has always been based on two pillars: on one hand a strong experience in trading and distributing high-tech equipment for showbiz and industry; on the other a great passion for building all things needed in a place that is designed to engage audiences, not only limited to theatres. Our company started off about 20 years ago, and had quickly become one of the most influential players in its sector. The initial decision to cater for medium-high end clients was taken early on, and has proven to be successful – this is thanks to our careful choice of products and brands offered, only the best in their fields. After gaining deep insight in the world of lighting design, we have over the years enriched our portfolio with different solutions for entertainment and system integration: from setting up control rooms to suggesting the best video media servers, passing by lifting mechanics and digital networks and audio set-ups for any type of environment. And the brands we deal with are undisputed leaders in their categories. In order to fully back our building ambitions, we have set up a specific executive design studio within Molpass; a studio that over the years has carried out state-of-the-art projects all across Italy and abroad. Fly towers, motorized lifting, quality grids, innovative truss complexes, loudspeaker installations, lighting consoles, stage equipment and even flexible seating solutions: these are just a few of Molpass typical interventions. 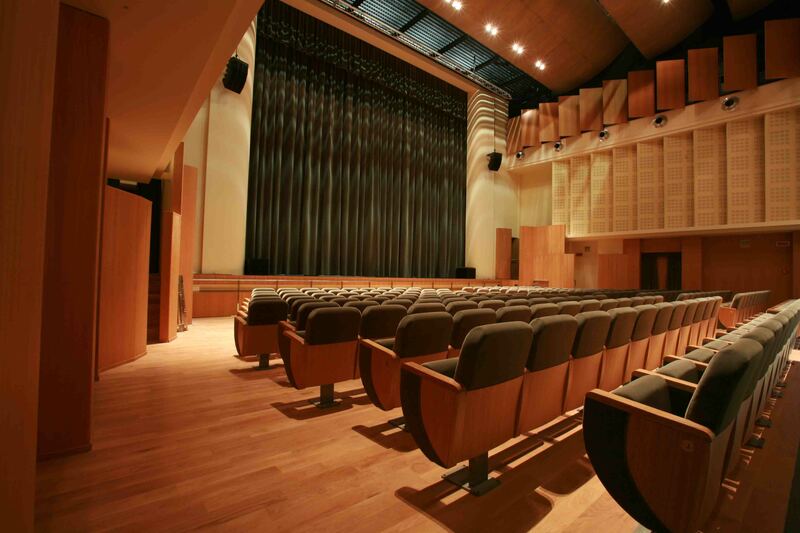 Among our latest works a special place is held by Teatro “Ermanno Fabbri” in Vignola (MO). In this occasion, Molpass worked alongside with the designers in order to offer its expertise in regards to creating a truly functional theatre. In particular, the complex areas of special installations (audio, lighting) and stage mechanics. Our part was not limited to the planning, but we also carried out relevant construction work – this was made possible by the presence in our staff of a site manager and specialized builders.